If you animate the wrong property, you can edit a track's path anytime. Double click on it and type the new path. Play the animation using the "Play from beginning" button (Default shortcut: Shift+D) to see the changes instantly. 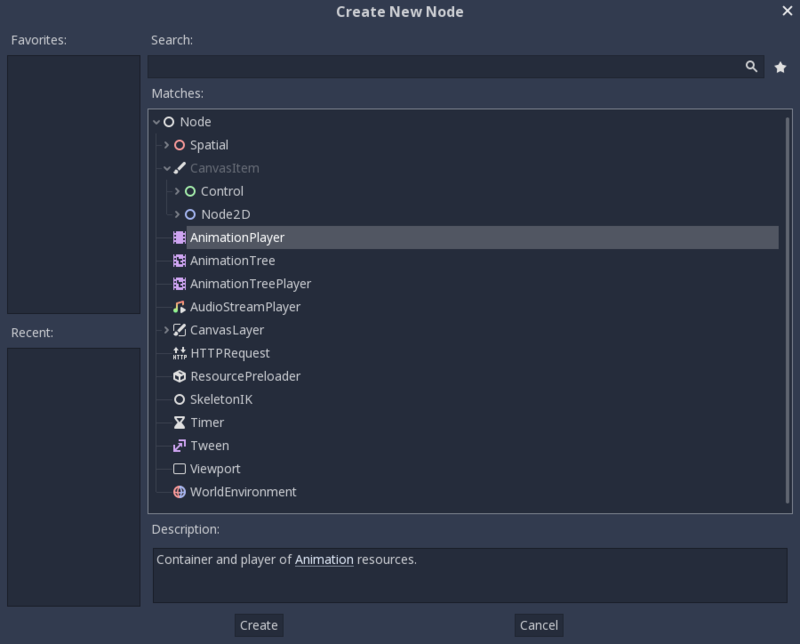 For this tutorial, we'll going to create an AnimationPlayer node and a sprite node as an AnimationPlayer node child. 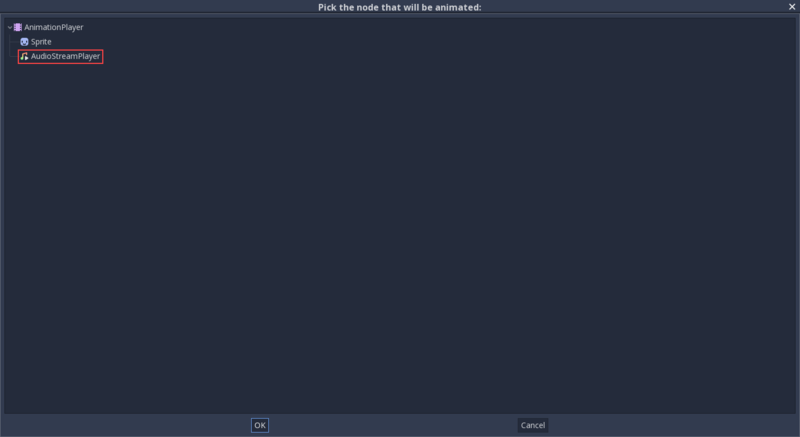 Select the AnimationPlayer node and click on "Add animation" ( ) in the animation tab to add a new animation. These switches and buttons allow you to add keyframes for the selected node's location, rotation, and scale respectively. As we don't have a track already set up for the transform/location property, Godot asks, whether it should set it up for us. Click on "Create". The path always starts at the AnimationPlayer node's parent (so paths always have to include the AnimationPlayer node itself). Don't worry if you change the names of nodes in the Scene Tree, that you already have tracks for. Godot automatically updates the paths in the tracks. Let's say, we want it to take 2 seconds to go to the other point. By default the animation is set to last only 1 second, so change this in the timeline controls in animation panel's lower panel to 2. Click on the "Play from beginning" ( ) button. As you can see, the "loop" button is enabled by default and our animation loops. 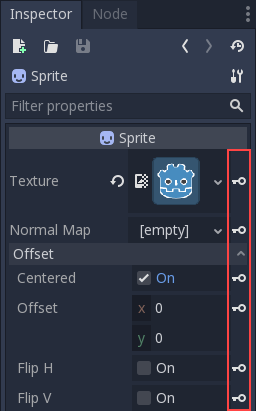 Godot has an additional feature here. 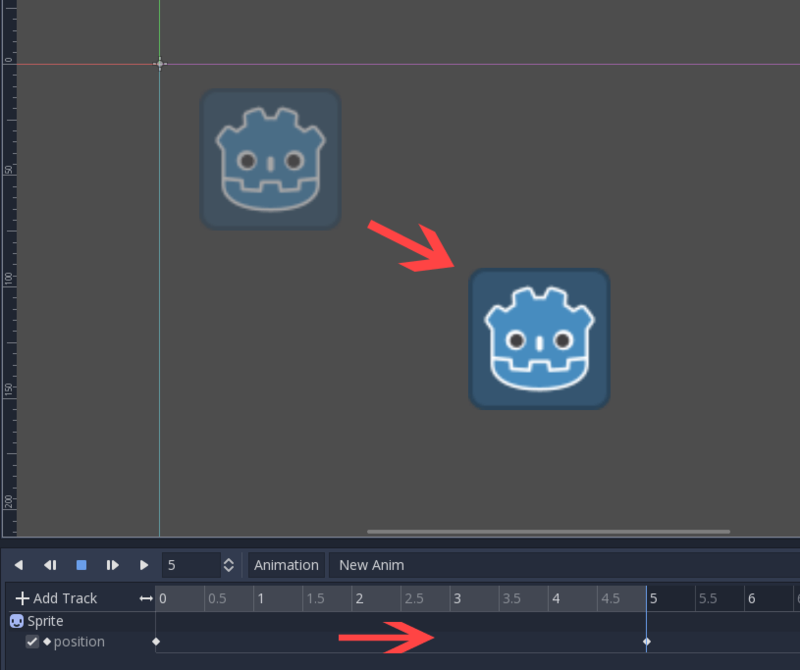 Like said before, Godot always calculates the frames between two keyframes. In a loop, the first keyframe is also the last keyframe, if no keyframe is specified at the end. If you set the animation length to 4 seconds now, the animation moves back and forth. You can change this behaviour if you change the track's loop mode. This is covered in the next chapter. In normal animations, you usually use "Continuous". The other types are used to script complex animations. Godot doesn't restrict you to only edit transform properties. Every property can be used as a track where you can set keyframes. If you select your sprite while the animation panel is visible, you get a small keyframe button for all of the sprite's properties. 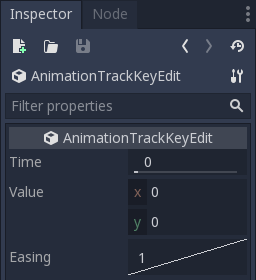 Click on this button and Godot automatically adds a track and keyframe to the current animation. You usually tweak your animations this way, when the movement doesn't "look right". Godot's animation engine doesn't stop here. If you're already comfortable with Godot's scripting language GDScript 기초 and Godot API you know that each node type is a class and has a bunch of callable functions. Wouldn't it be great to play a stream at a specific keyframe in an animation? This is where "Call Func Tracks" come in handy. These tracks reference a node again, this time without a reference to a property. Instead, a keyframe holds the name and arguments of a function, that Godot should call when it reaches this keyframe. Click on "Add track" ( ) on the animation panel's track controls. Select "Add Call Func Track" from the list of possible track types. Click on "Add keyframe" near the settings of our func track ( ) and select the keyframe. Enter "play" as the function name. 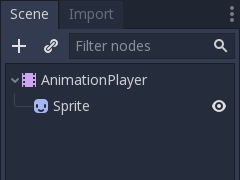 When Godot reaches the keyframe, Godot calls the AnimationPlayer node's "play" function and the stream plays.